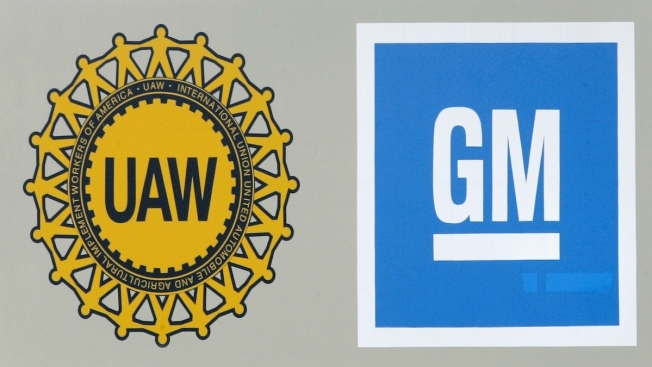 Logos for General Motors and the United Auto Workers. A tentative agreement has been reached between the United Auto Workers union bargaining committee and General Motors, averting a strike, NBC News reported. The union said all of its GM members were prepared to strike, which means 52,700 employees would have walked off the job. Talks between GM and the union had been ongoing since July. The deal was approved 17 minutes before the deadline. Details of the four-year deal were not made public.